With still more than 3 weeks to go for the start of the UEFA Euro 2016 finals, the tournament fever has already seemed to catch up to the fans and that too not just in Europe but around the world as well! As always the tournaments popularity has only grown and this time around it seems to be bigger than ever before. With more than just a couple of surprises and underdogs entering the stage with some mouthwatering potential, the fans would once again be treated to their phenomenal stars and their incredible talents too. Well, we here at Footballwood are here to keep you constantly updated with latest stories on upcoming events and news on one of football’s biggest competitions. Today we are shortlisting the top ten teams’ capable, favorite and prepared enough to win EUROPE’s biggest national competition. Today’s enlistment will depend not only on the teams’ showing in the competition so far in qualifying but also on their squad strength and experience and their fair share of history in the competition as well. So let’s find out who are the deserving ten! It’s not too often that we hear this team’s name apart from when mentioning Gareth Bale, but this underdog seems to be bringing it all to Europe this year with of course. Gareth Bale being the outstanding player of the team. It’s safe to say that the Wales will be looking to finish in the top eight, but to hope for better Aaron Ramsey, Joe Allen, Ashley Williams and especially Gareth Bale have to perform to their utmost best with the rest of the team contributing to Chris Coleman’s strategic input. Wales finished 2nd in Group B qualifying 2 points behind Belgium despite scoring only 11 goals of which 7 were from Bale. However its lackluster history in this or any competition only puts it in the 10th spot for the campaign. Croatia has been a phenomenal attacking guide this qualifying campaign with goals pouring in from everywhere. The attacking presence of the versatile Luka Modrić and the goal threat by midfielder Ivan Perišić have been a phenomenal success during qualifying which showcased a 20 goal side which came runner up in Group H behind Italy. Although they only managed twenty points, it was an absolute blast watching the team and have proved to be a unwelcome danger in Group D where it’ll meet the likes of Spain, Czech Republic, and Turkey. Certainly a team to watch. Referred to as the “Dark Horses” of this year’s finals, Austria have introduced themselves into the global platform with some electrifying performances under Marcel Koller who has been with the team since 2011. It seems his time with the team might finally be paying off. The presence of some incredible young talents in the like of David Alaba at the back who can play almost everywhere seems to be having a change for the good in the team. With the fans also getting behind them, it is fair to say that Austria indeed breezed through qualifying dropping points only on one occasion that too back in October against Sweden in a 1-1 draw. That’s not the end of the good news for the Austrians, veteran striker Marc Janko found his shoes, netting 7 goals in his 9 games in qualifying. Italy has been one of the most if not the most consistent side in the Euro’s this year. They boast an incredible balance in the team one which just pinches towards the defensive side to an extent. 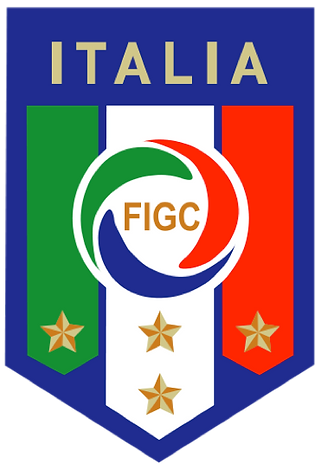 Their backbone which was handpicked from the best clubs in the world seems to be the utmost breaking point of even the most aggressive attacking units which so far have not been able to deprive the Azzurri of its unbeaten run in the qualifying. Italy finished top in Group H in the qualifying loosing just 6 points from a possible 30 and conceding just 7 goals while netting 16. Italy’s well known defense has not only shown their experience at the back but also displayed fine form in front of goal too, scoring a combined 5 goals. And it won’t be any easy scoring against the iconic Gigi Buffon. Let’s hope Antonio Coleman’s side can bring the excitement back to Italy. Most pundits rule out England due to their young and inexperienced side that needs tuning and experience and most of all history. Well I would like to disagree; the point is Roy Hodgson has chosen a remarkable side for this competition one which managed to score 31 goals in qualifying and conceding just 3 with Joe Hart in goal. The experience of Wayne Rooney and Theo Walcott, along with the superb Premier League TOP Scorers Jamie Vardy and Harry Kane makes the most impressive attacking unit in the finals. England will surely be hoping for a place in the semi’s and would do well to get there too. If the likes of Sterling, Kane or even Lallana and Milner step up to their game we might be looking up-to a impeccable side that can true and well destroy any defense. Interestingly Portugal comes sixth in our listing and matches Cristiano Ronaldo, who else does Portugal need. Their aging defense has been able to keep their form in recent fixtures and some spectacular talents in the squad seem to be a helping factor in the team’s campaign. Yet, the lack of a terrestrial striker seems to be a bit of a problem. They managed to top, the 5 member group in qualifying although they lost a game. The fact remains simple for Portugal, they look for Ronaldo. If Ronaldo delivers, Portugal wins. Yes, they maybe Europe’s best team squad wise and they may be the 2nd best team in the world according to FIFA but its poor history suggests that this talented roster might need more than just talent. Belgium had a fairly easy position in Group B in qualifying but still managed to lose out 7 points. Belgium’s squad is a well-balanced one with Courtois guarding the net. The imposing figure of Vincente Company at the back would add to their strength and balance. However more goals have come from the midfield rather than the forwards. Belgium would surely be looking to write off their mishap in Brazil in France with some excellent showing. The in gain form of Eden Hazard would be a morale booster for the Belgians who would look for a berth in the final. It has been 8 years since Vincente Del Bosque took charge of the team and he has done a great deal with it too earning them titles. However its worst ever showing in Brazil should have been the end of the line for him, but somehow managed to cling on. His stubborn nature and refusal to call up in form players have been hideous to say the least. Iker Casillas is obviously the legend, however De Gea is the man in form but his playing time was considerably reduced, Even though they conceded just 3 under Casillas. Paco Alcácer has been in stunning form for them up front and will be looking to keep his place in the team along with Diego Costa: although it will depend on his mood. The midfield needs no introduction and would surely be the team’s strongest point. 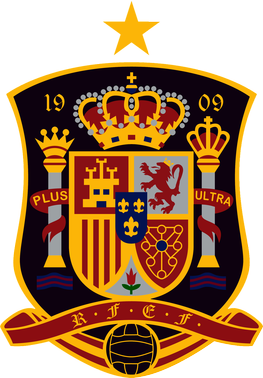 Spain has started to find their old edge back and surely would be eyeing the title. Home advantage would surely come in handy as history suggests. France was the last host nation to win the competition back in 1998 and would be looking for a repeat. France would be looking to breeze through the Group Stage and would be ready with its big guns during the knockouts. 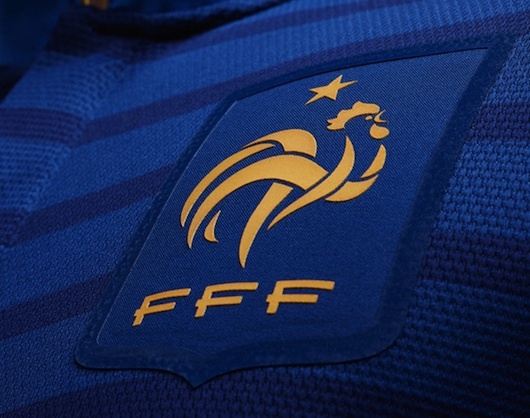 We talked about attacking and defensive units and even the more balanced sides, but what France can offer is way more than most teams can even depict. Their absence in qualifying might not help them but it sure doesn’t help the other teams as well. France could definitely be a surprising side. Their friendlies show that their creativity is hard to match and few teams in the competition offer such an aggressive and fluid midfield filled with talent and skill. Few would argue that they are probably the most incredible team on board this competition; one which meets all the set standards. They have the Team, the Coach, the History, the Style and most importantly, the individuals. Manuel Neuer might still keep his place despite a disappointing qualifying showing and will hope to regain his form. Their defence is capable of stopping just about everyone as they have showed in Brazil were even the world’s best couldn’t find the net. When it comes to the front man Thomas Muller is the man to watch out for. Scoring 9 out of 9 in the competition qualifying. The experience of the team is unquestionable and it seems very fair to say that they are bringing the most tested, proven side to this finals. Their goal for this competition would be of no surprise- Just Win The Whole Thing. Germany is waiting for the title. Just a warning to all the other defenses – Marking the strikers won’t do you any good; 1. They are extremely good with the ball and can do wonders with it and more importantly 2. They have Mesut Ozil, the ball would be flying in to the strikers from everywhere and with utmost precision, so watch out!